Pilates can really make a difference to your health without taking a toll on your body. By emphasizing proper breathing, correct spinal and pelvic alignment, and concentration on smooth, flowing movement, you become acutely in tune with your body. You actually learn how to control it’s movement. Pilates conditions the whole body, even the ankles and feet. No muscle group is over trained or under trained. Your entire musculature is evenly balanced and conditioned, helping you enjoy daily activities and sports with greater ease, better performance and less chance of injury. 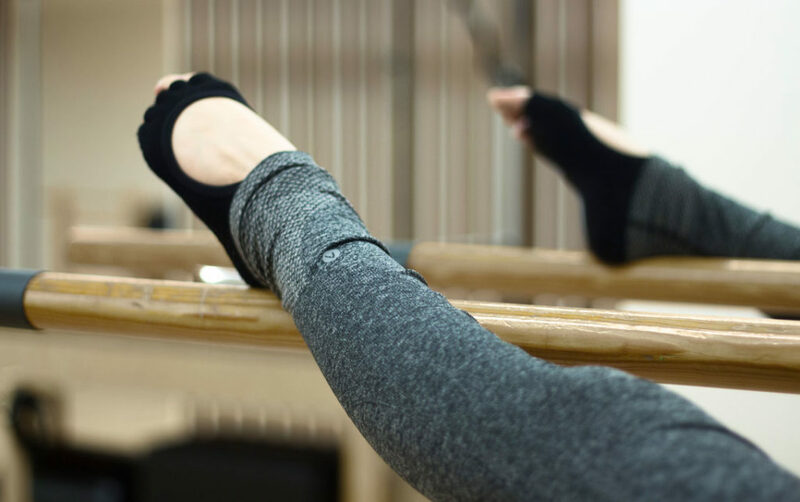 Using the barre as a prop, and ballet moves as inspiration, these classes will help to build core strength, improve joint mobility and encourage good posture and elegant deportment. By combining standing Barre work with Classical Pilates mat work these classes provide a great all round work out, but can be particularly effective for building leg strength and tone. A good fun class with no ballet experience necessary and suitable for all abilities. Interested? Take a look at our time table for class times and contact reception to discuss availability and how Pilates can help you.